“This is one secret of eminent holiness. He that would be conformed to Christ’s image, and become a Christ-like man, must be constantly studying Christ Himself.” (J.C Ryle from Holiness). 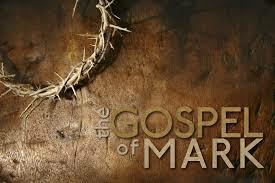 Click to listen to the message, The Gospel of Jesus Christ. Posted in Uncategorized on April 29, 2014 by Craig Sturm. 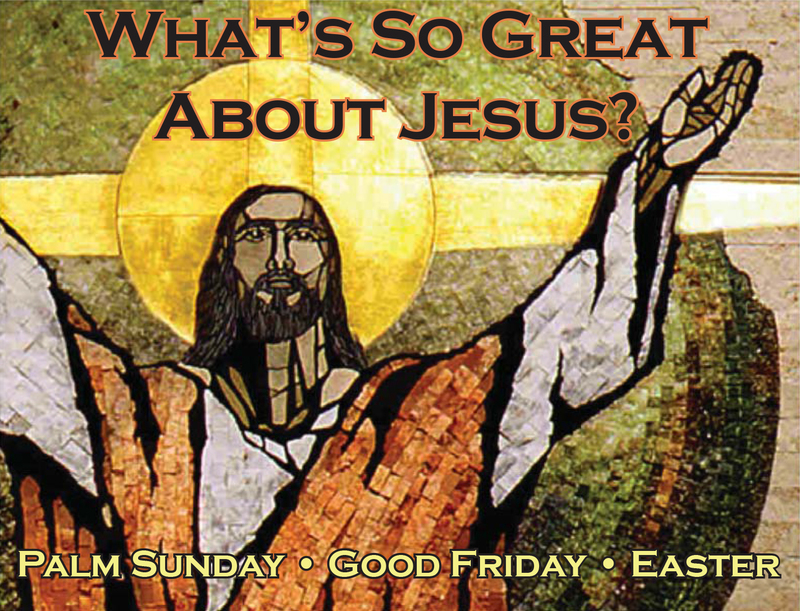 I began this short series of Easter season sermons by asking the question: What’s So Great About Jesus? I asked that question because we need clarity on this it. There are many different opinions on it floating around in our culture these days. My goal was to let the biblical writers answer the question – those who knew him; who were inspired by the Holy Spirit to point to him in writing. My pray has been throughout that the Holy Spirit would help us all to see why Jesus is so great; to draw our hearts to a sense of awe and wonder; and to lead us to believe and to worship him! Posted in Uncategorized on April 23, 2014 by Craig Sturm. He is the Risen Savior! It’s fair to say that if Jesus had failed to rise from the grave, he would have been no better than a religious charlatan, a deceiver of people, not worthy of their worship and devotion – believing in him would be foolish and his followers should be pitied. But he has risen. Our faith is not in vain. Click through to listen to the Easter message, He is the Risen Savior! which was the final message of the series, What’s So Great About Jesus? Posted in Uncategorized on April 22, 2014 by Craig Sturm. 1 Peter 2:24…He himself bore our sins in his body on the tree, that we might die to sin and live to righteousness. By his wounds you have been healed. Good Friday draws us to remember that our God is a God of patience, full of mercy and grace. In the private counsels of God in eternity past, he had determined a solution – Jesus, the Son of God would bring restoration and healing for alienated and broken humanity through the Cross on Mercy’s Hill. This is the heart of Good Friday; this is the heart of the Gospel. Prepare your heart for Easter by listening to the Good Friday message, He Brings Restoration and Healing, part of the What’s So Great About Jesus? sermon series. Join us at Mercy Hill Church for Easter Worship Celebration tomorrow at 10am at Turner Elementary School in West Chicago. Posted in Uncategorized on April 19, 2014 by Craig Sturm. If you are not worshiping in a church that celebrates the clear Gospel of the Risen Christ, we invite you to join us for our Easter Celebration – tomorrow morning, 10am @ Turner Elementary. If you are new to Mercy Hill Church or Christianity or thinking of attending our Good Friday service – this is for you. Holy Week began last Sunday with Palm Sunday, and continues Friday as we reflect on and rejoice in the greatness of Jesus’ restoration and healing. So join us on Friday, not just Sunday. I invite you to join us at Turner Elementary tomorrow night at 6:30pm, and then again on at Turner on Sunday morning at 10am. I encourage to read and pray through our text for this Friday… 1 Peter 2:24…“He himself bore our sins in his body on the tree, that we might die to sin and live to righteousness. By his wounds you have been healed.”Let the richness of this amazing truth sink deep into your heart. Let’s join together to pray for Jesus to save, restore, and heal hearts as he awakens them to the amazing reality of his grace and redemption this weekend. Posted in Uncategorized on April 17, 2014 by Craig Sturm. 1 Peter 1:3-5…Blessed be the God and Father of our Lord Jesus Christ! According to his great mercy, he has caused us to be born again to a living hope through the resurrection of Jesus Christ from the dead, 4 to an inheritance that is imperishable, undefiled, and unfading, kept in heaven for you, 5 who by God’s power are being guarded through faith for a salvation ready to be revealed in the last time. The promise of ultimate future hope that is secure, glorious, unable to slowly fade away, gives us the ability to face this current life with courage and even joy! Our hope is a real, solid, living, never dying hope, because of our living Savior! Link to audio for the sermon Jesus Offers Real Hope from the Easter 2014 series, What’s So Great About Jesus? Posted in Uncategorized on April 15, 2014 by Craig Sturm. Holy Week observances likely began in Jerusalem in the earliest days of the church, though the term first appears in the writings of fourth century bishops, Athanasius, bishop of Alexandria, and Epiphanius, bishop of Constantia. Holy week does not include Easter Sunday. Because of the difficulty in some parts of the world of procuring palms for Palm Sunday, leaves from yew, willow, olive, or other native trees are frequently used. The Sunday was often designated by the names of these trees, as Yew Sunday, or by the general term Branch Sunday. In Medieval Europe, Christians would abstain from eating eggs and meat during Lent. Eggs laid during that time were often boiled to preserve them and were given as Easter gifts to children and servants. Some traditions claim the Easter egg is symbolic of the resurrection of Jesus, with the shell of the egg representing the sealed Tomb and cracking the shell representing the Resurrection. Christians in the Middle East and in Greece painted eggs bright red to symbolize the blood of Christ. Posted in Uncategorized on April 14, 2014 by Craig Sturm. When our Community Groups get together, one of the things they do is to talk through the sermon from that weekend, with a goal of application and life transformation. Today, from the Easter series, What’s So Great About Jesus?, Pastor Craig showed Jesus as great because He Offers Real Hope (taken from 1 Peter 1:3-5.) Below are the discussion questions Community Group leaders will use. We’d encourage you to use these to: 1) prepare for Community Group; or 2) discuss with your family or friends if you’re unable to make it to Community Group. What kinds of things do people place their hope in? Why? Read the passage together…Why does Peter call our hope a living hope? We looked at 5 questions that pointed to truths about the hope that we have from God. Answer each: Who is the author of that hope? What motivates him? What is the rock under living hope? What is the fruit of living hope? What is the guarantee of our living hope? Contrast living hope with false hope based on your answers. Discuss the connection between what we hope in and what we worship. What is it that you are most likely to hope in other than God? What from today’s text/sermon was most helpful in keeping your hope in the right place? Split the men & women: talk openly about your struggles to hope in God. Pray specifically for one another that God’s grace will come to lead you into real hope and real worship. Posted in Uncategorized on April 13, 2014 by Craig Sturm. Many were traveling for Spring Break on Sunday, March 30 when I spoke on a very important subject for our new church: Developing a Culture of Peace. If you were not able to hear the message, I would encourage you to spend the 30+ minutes to listen to it. You can click on this link and either listen to it then, or download it to listen to later. Posted in Uncategorized on April 10, 2014 by Craig Sturm.